It's not morbid to think about what will happen to you and your stuff after you die—it's just good planning. Unless you’re like the male protagonist of the 1971 classic Harold & Maude (that is, “young, rich, and obsessed with death”), you might not think a lot about end of life planning—things like drawing up a will, or planning for your digital legacy (yes, that is a thing). But here’s why you should. When you think of your assets, you might only be counting items like jewelry, artwork, a car, or a nice stereo system. And those are certainly assets! But there are also items like your first generation iPod—which is now considered a collectors’ item—that also totally counts. Even people who don’t think they own much of value are often wealthier than they realize. If you want to make sure your stuff can easily be transferred to the people you’d like to inherit it (and not to the state of New York, which is a possibility), then pony up a few hundred bucks and have a lawyer set you up with a simple last will and testament. Did you know you don’t actually own your Facebook account? Or your Gmail address? Or even your ConEd login? You just have a license to use them. When you shuffle off this mortal coil, those licenses expire. If you plan ahead, you can be in control of what happens to your accounts posthumously: do you want your Facebook flipped to “memorial” status, for example, or just deleted? If you don’t make these choices now, someone else will later. If you’re a proper Bushwick resident, you probably engage in a few somewhat risky behaviors: bike riding or skateboarding, full-contact karaoke, beer-and-shot specials. All kidding aside, any one of us could have an accident that renders us unable to communicate. If you’re unconscious in the hospital and can’t relay your wishes, how will the people caring for you know how you feel about being resuscitated, for example? If you’ve set up precautions like a living will, a release of information form, and a power of attorney, there won’t be any guesswork. There are a lot of other spokes off this hub, of course. If you own property or have kids, there many more considerations. But don’t despair—just prepare! Kamilla offers free case evaluations and is easy to reach by phone or email. “I simply want people to know the fundamentals of estate planning and be aware that a general practice lawyer or local personal injury lawyer isn’t the best route to take when you’re dealing with end of life matters,” she says. Don’t go to your barber for website design! 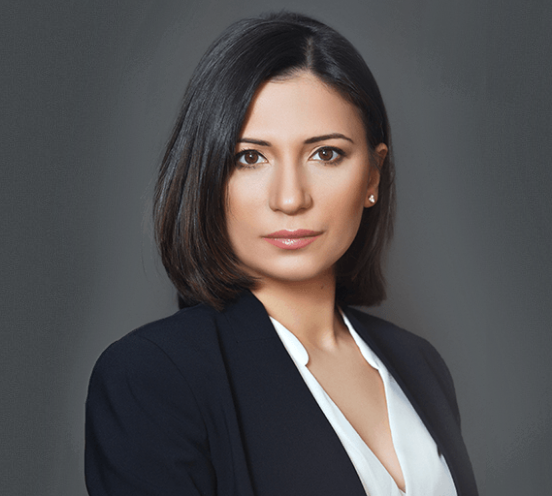 Check out Kamilla's estate law and probate website (where you can read up on all these topics and many more), call her at (646) 233-0826, or email her at Kamilla@Mishiyevalaw.com. She has an office in Lower Manhattan and two in Brooklyn. Cover image: Courtesy of Kamila Mishiyeva.